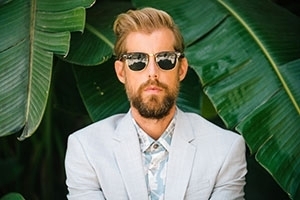 Lauded for creating emotive, astute rock with his L.A.-based bands Something Corporate and Jack's Mannequin, a sea change occurred for prolific pianist-performer Andrew McMahon around 2014. The old-school model of the music biz had collapsed, allowing McMahon freedom, but a wealth of open doors also brought pressure. McMahon was truly operating In the Wilderness.